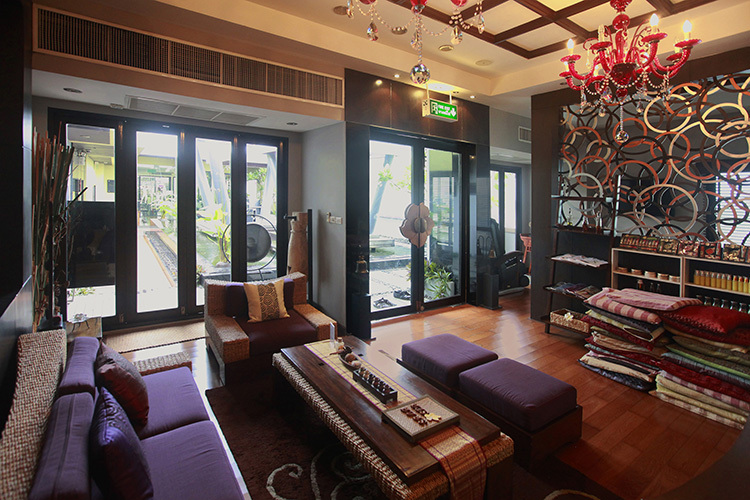 Treat yourself to one of May Kaidee's invigorating travel packages, which include our renowned Thai vegetarian and vegan cooking class, hotel accommodations, traditional Thai massage, as well as revitalizing spa treatments and detox programs to promote health and wellness in your life, all in the heart of Old Bangkok. Start the love affair with Thai vegetarian and vegan cuisine that we know you'll want to continue in your own kitchen. 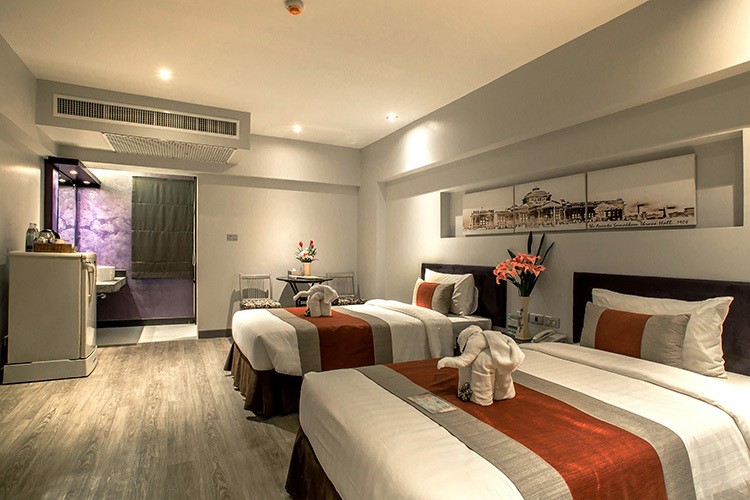 Includes hotel accommodations, rooftop pool, cooking classes, cultural tours and massage. Starting at $635 USD. Boost your vitality with a cleansing meat-free diet and a host of health-conscious activities. 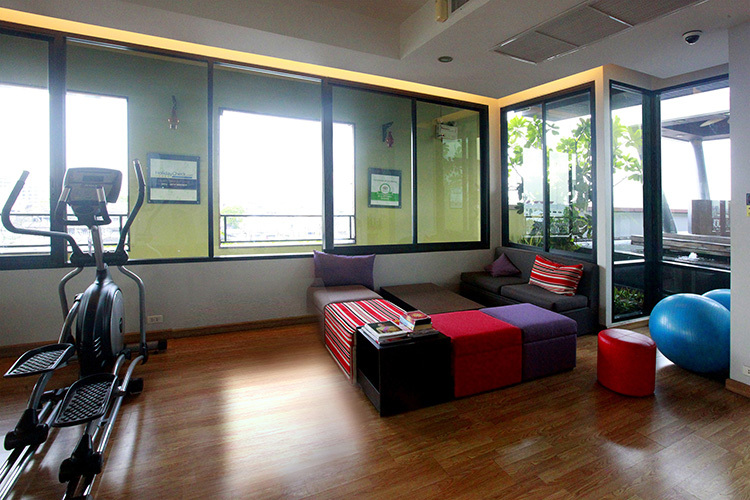 Includes hotel accommodations, rooftop pool, detox program, fitness and meditation facilities. Starting at $762 USD. 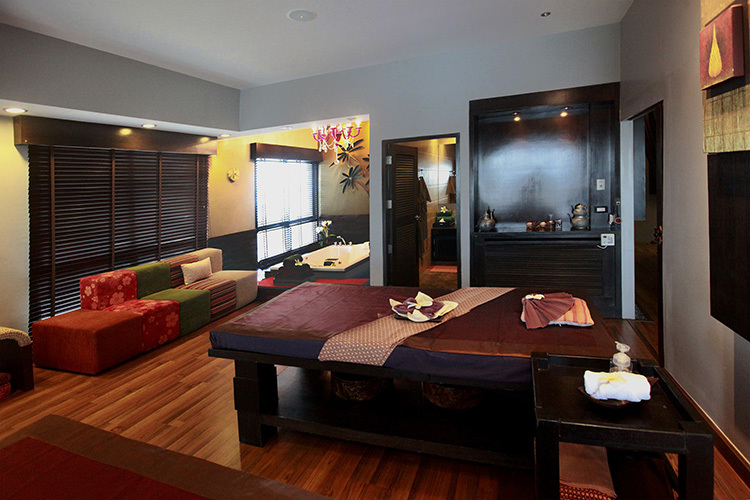 Leave your worries outside the spa door and experience true holistic pampering in the form of Thai massage, reflexology and herbal massage. 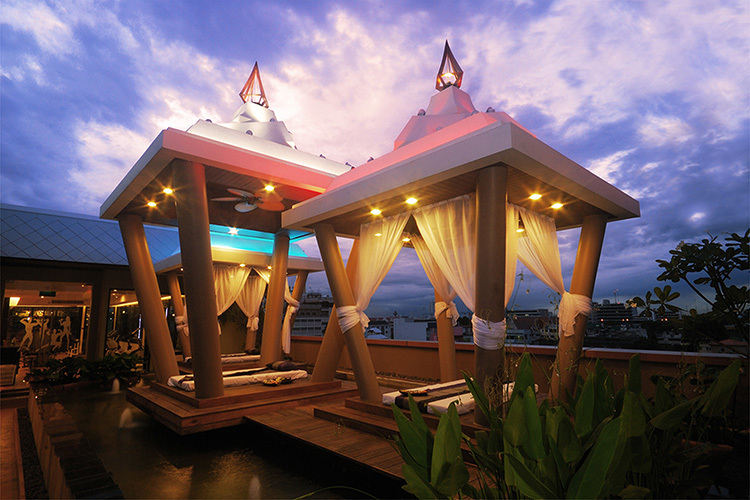 Includes hotel accommodations, rooftop pool, massage, spa treatments, fitness and meditation facilities. Starting at $1,271 USD. Thai massage, reflexology (foot massage), detox and meditation are the perfect complements to a healthy, meatless diet and holistic lifestyle, and we created these packages with this reality in mind. Whether you are already a vegetarian, vegan or raw-food enthusiast, or have only just begun considering such options for your health and wellness, we applaud your interest in the healing powers of a plant-based diet (which becomes even more potent when you include a healthy abundance of fresh juices and smoothies). Clean eating combined with Thai massage and detox, especially if enhanced by a juice cleanse or juice fast, can only lead to a healthier body. In fact, some health-and-wellness sources claim that conditions such as diabetes and hypertension (high blood pressure) might all be better managed through the therapeutic effects of frequent Thai massage (which may also help with weight loss). Whatever your needs or desires on your journey into holistic health and wellness, we welcome you to take full advantage of the many benefits our travel packages provide. 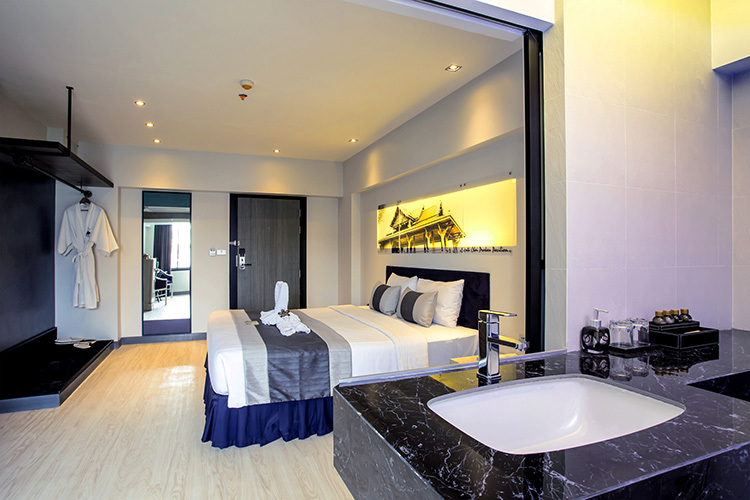 It all starts with getting you settled into the very comfortable 4-star hotel accommodations we offer. 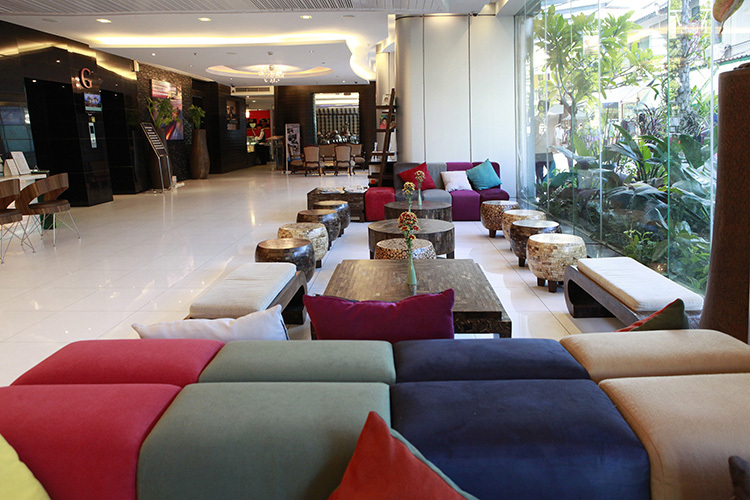 Fall into the comforts of a modern Thai hotel designed to meet the needs of discerning travelers. 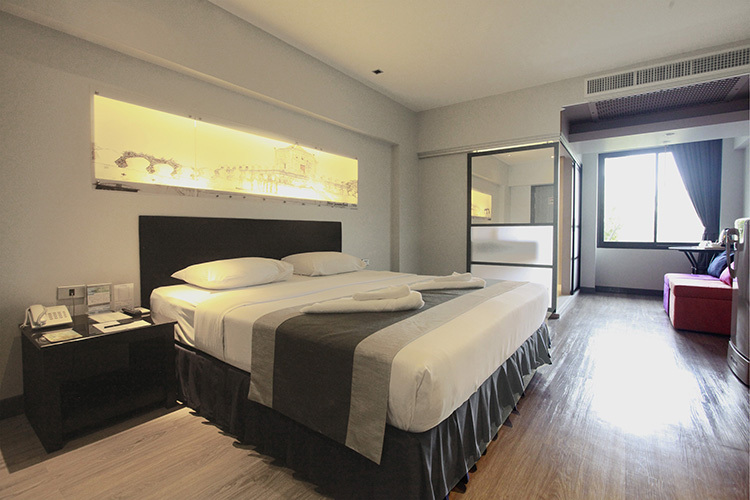 Experience classic comfort in spacious, well-appointed rooms that all include free Wi-Fi. Cozy twin beds sit at the center of a haven for guests sharing the experience of a lifetime. 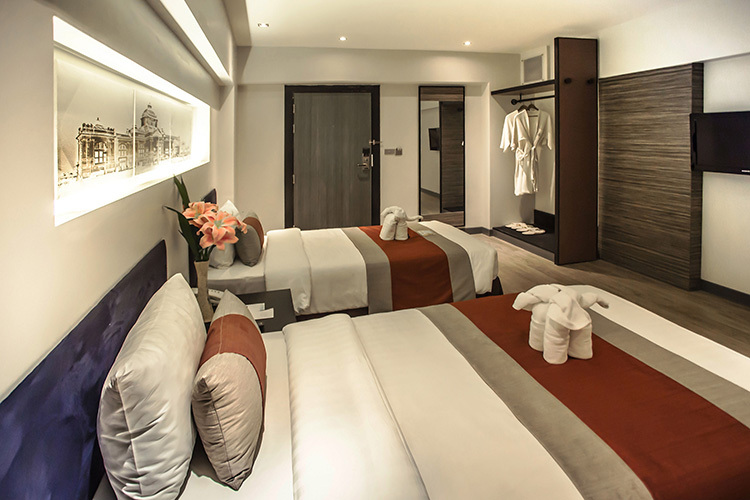 Enjoy world-class amenities, such as bathrobes and free Wi-Fi, in a finely decorated room serviced by very attentive staff. Retreat from a bustling city of endless activities to a private oasis of peace, the perfect place to rest during your detox process. 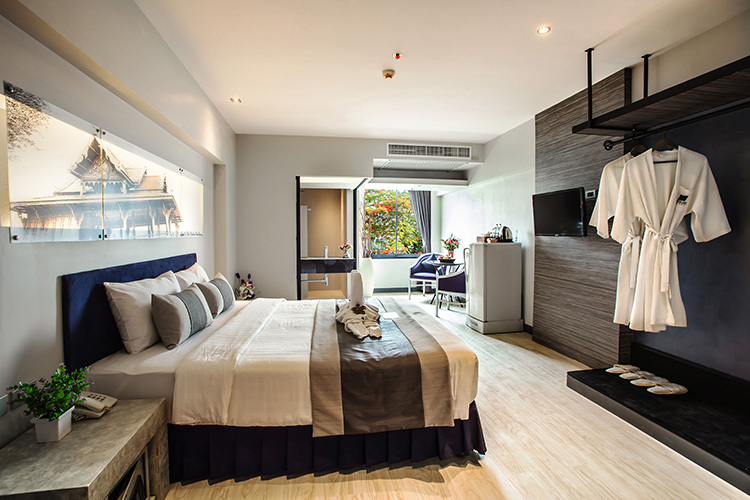 Rest well after indulging in any number of holistic treatments, all designed to support your health and wellness while giving you maximum pleasure. 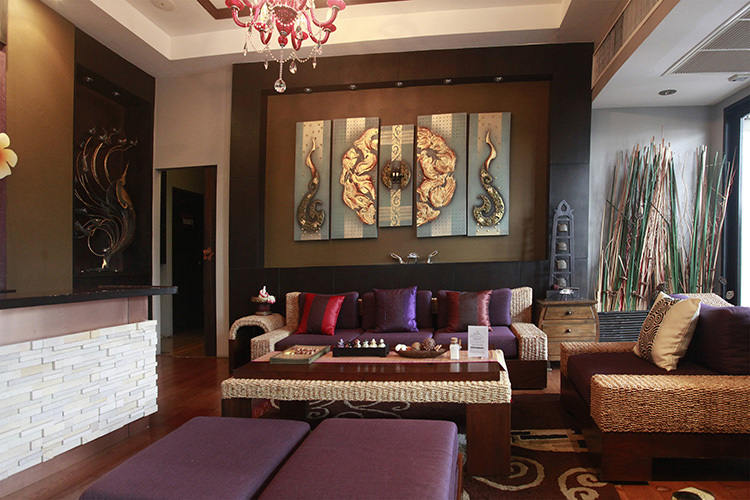 Stylish surroundings provide the perfect environment for a relaxing, healing spa experience. Experience the benefits of local holistic and organic products that will leave you feeling nourished and rejuvenated. 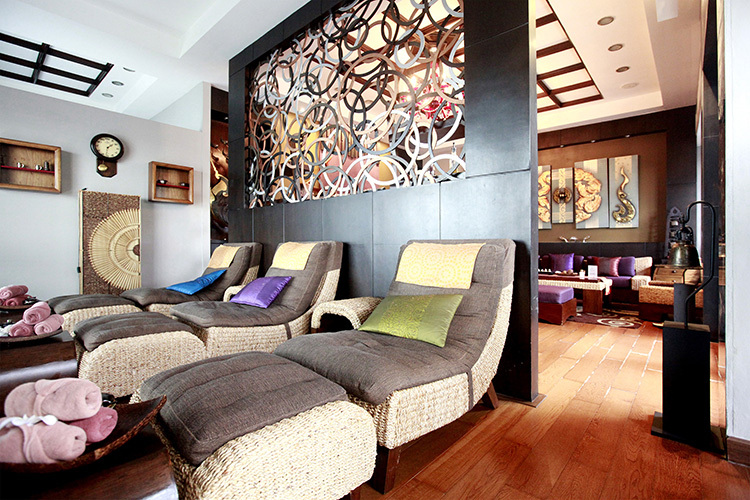 Sit back and relax in deep comfort or meditation while enjoying a reflexology treatment (foot massage). 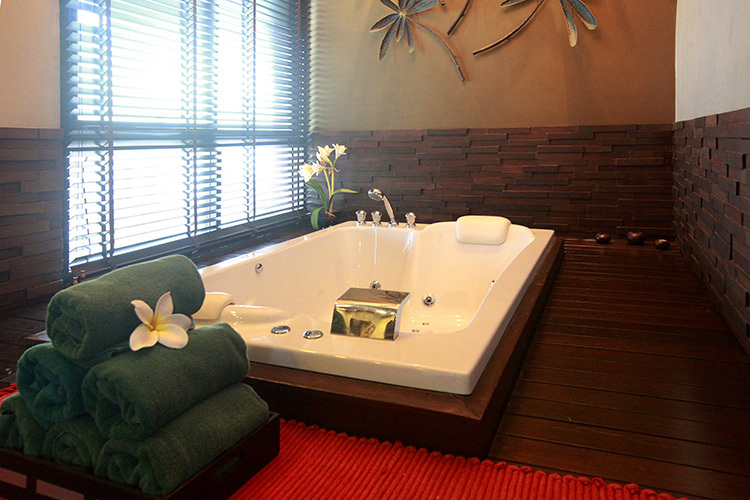 The private hot-tub suite provides an elegant setting for the ultimate massage and bath experience. Immerse yourself in an aromatic, milky hot-tub (with fresh juice or a smoothie by your side) after a Thai massage or herbal massage for complete relaxation. 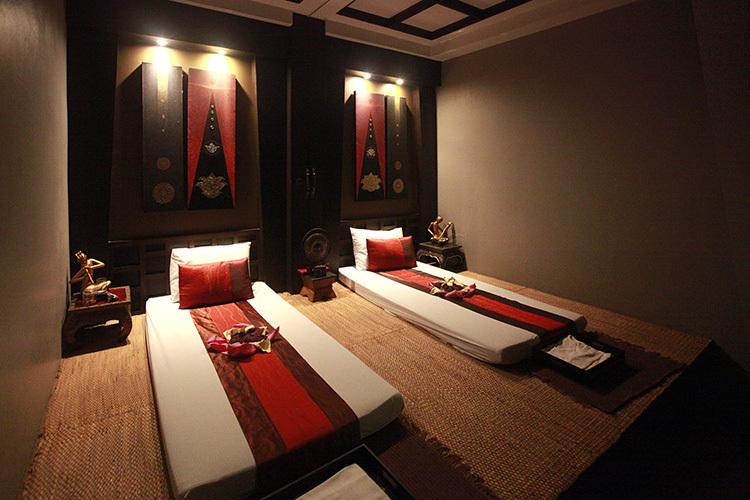 Private massage rooms blend ancient and modern decor to furnish the backdrop for a most pleasurable, holistic Thai massage. After a full day of fun and culture, enjoy fresh juice or a smoothie along with vegetarian or vegan snacks in a serene rooftop sanctuary. 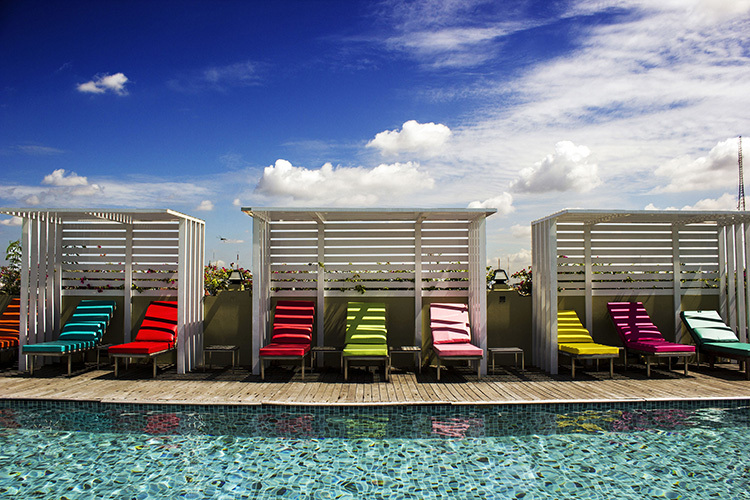 Soak up the sun and then cool off with some refreshing hydrotherapy in the salt-water, rooftop swimming pool (or just enjoy a moment of meditation). 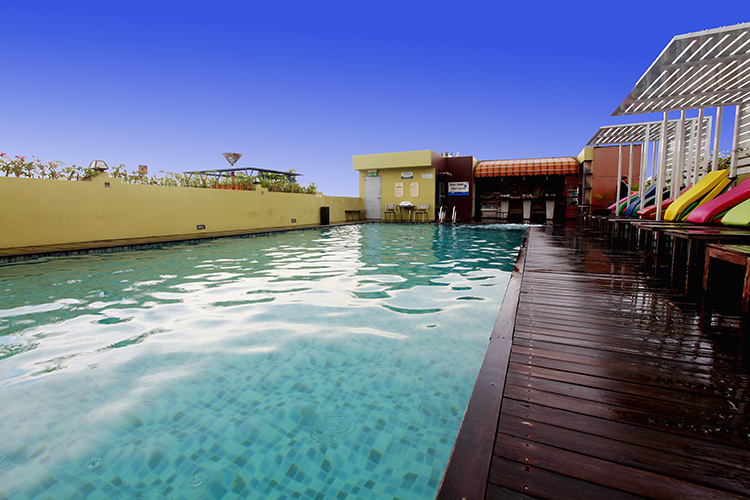 A world apart from the city below, relax by the pool while enjoying an array of our healthy smoothies and fresh juices. 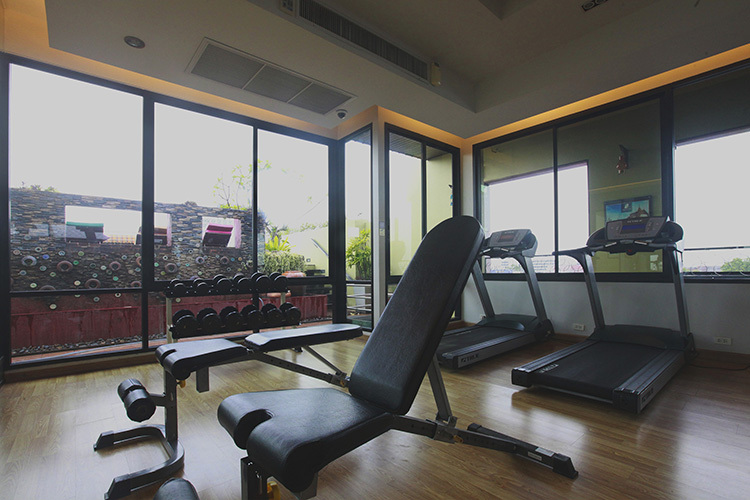 Exercise to your heart's delight (and then enjoy a Thai vegetarian or vegan meal as your reward) in a well-equipped, air-conditioned fitness facility overlooking Bangkok. After your workout, you'll be just a few strides away from the steam sauna and rooftop swimming pool (and always close to fresh juice or a smoothie). 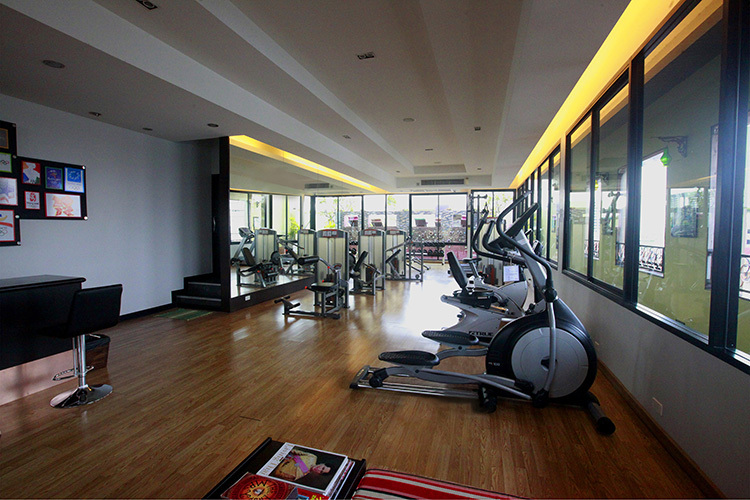 The fitness facility features a cushioned relaxation area with a yoga ball for stretching.